Great opportunity. Good location. Ready build. MOTIVATED SELLERS, BRING ALL OFFERS. LET'S MAKE A DEAL! 14611 NW 258th St, Okeechobee FL 34972 is a Agricultural, with 0 bedrooms which is for sale, it has 54,450 sqft, 54,450 sized lot, and 0 parking. 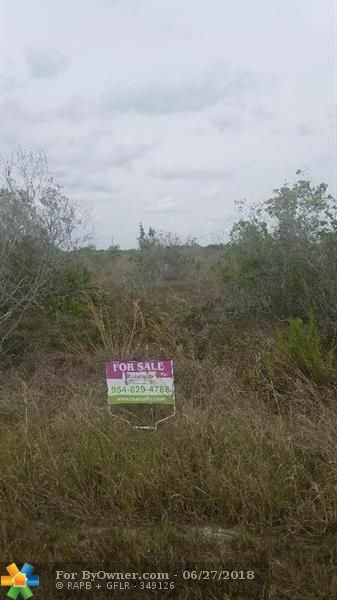 A comparable Land, has 0 bedrooms and 0 baths, it was built in and is located at 14925 260TH STREET OKEECHOBEE FL 34972 and for sale by its owner at $ 9,000. This home is located in the city of OKEECHOBEE , in zip code 34972, this Okeechobee County Land, it is in the Subdivision, and BASSWOOD UN 05 are nearby neighborhoods.